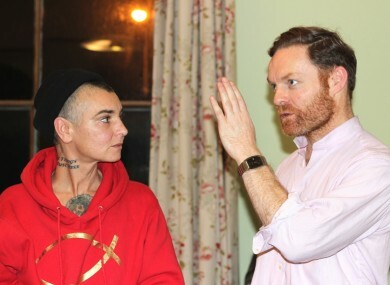 SINÉAD O’CONNOR AND Shane McGowan have joined a film project that will tell the story of Seán McDermott – one of the leaders of the 1916 Easter Rising. O’Connor is expected to star in the film, while McGowan will write an original song for the score. Most of the cast have yet to be confirmed. Director Kevin McCann said the film will “tell the truth about the most defining cultural and political episode in recent Irish history, the moment when Ireland stepped out of famine towards freedom”. McCann said he had “great respect for [O'Connor] as an artist and an individual”. The singer said she wanted to make the film to capture the “spirit in the Irish people at that time”. They felt they could build a country out of nothing but rubble. We have so much more than they had. McCann is currently seeking part of the funding for the film, called ‘The Rising’, on Kickstarter. He wants to raise €73,000 via the crowd-funding site and is hoping to get close to €5 million from investors and state agencies. The majority of funding is coming from private investors in America – where McCann has been promoting the project. At the time of publication, over €17,000 had been raised on Kickstarter – with just three days to go. McDermott was born in Leitrim and the County Council there has provided €10,000 for the film. Cavan County Council, where McCann’s production company Maccana Teoranta is based, has pledged €5,000. McCann said he felt compelled to make the film because Ireland is ”ignoring its responsibility to remember” what took place during the Rising. Very often we don’t like to recognise heroes – modern or historical – because it demands more of us as human beings. He described the Government’s plans to commemorate the centenary of the Rising as “disrespectful”. Whether you agree with what happened or not, it’s history and it has to be remembered. We have the support of Seán MacDiarmada’s family, and the families of other leaders such as James Connolly, who was executed alongside him. ‘The Rising’ is inspired by the biography ‘Seán MacDiarmada: The Mind of the Revolution’ by Dr Gerard MacAtasney. McCann co-wrote the script with Colin Broderick. Filming is expected to begin next year, with the movie due to be released in time for the centenary of the Rising in 2016. Email “Sinéad O'Connor and Shane McGowan join Easter Rising film”. Feedback on “Sinéad O'Connor and Shane McGowan join Easter Rising film”.